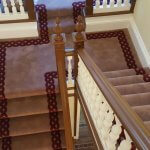 Colourmatched Carpets specialise in the manufacture of border carpets. 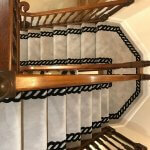 From the initial enquiry our service is second to none. 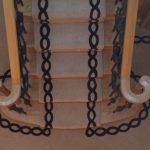 You have visited our web site and like what you see. But you need to feel the product. 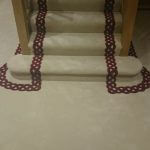 The next step is to send out to you by Ist class post a sample pack of our carpets. 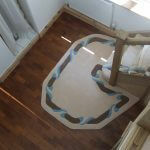 Along with carpet border photos. So that you can feel the deep pile luxurious quality. Having received your samples,and like what you see. 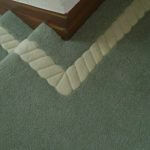 You then get in touch to arrange a free measure and quote. 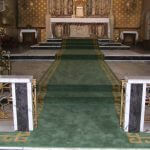 We bring all our carpet samples with us along with over 2500 colours. To assist you in your colour choice. Or we can specially dye to your exact colour requirement. 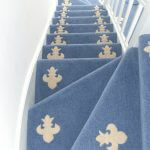 We measure,advise and discuss with you your carpet requirements. 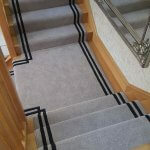 Preview all our carpet border photos with you. Answer all your questions. 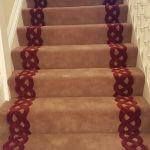 Leave with you your carpet quote, for you to take your time to discuss with each other. In your own time. 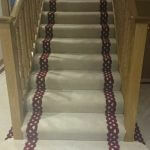 4 inch double hemp border. All our quotes are valid for two months. 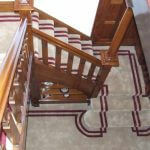 We never follow quotes up,we do not hassle customers. 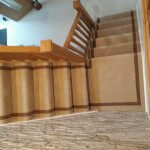 If after taking your own time to make your mind up to proceed with an order,you will contact us. 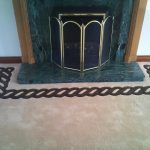 6 inch greek key border. Having placed your order,we contact our yarn dyers and start your order in motion. Most orders are completed in a six week time period. If you require a faster service please ask and if possible we will meet your delivery requirement.